Posted on August 23, 2013, in Fun, Innovation, Techy, Theory and tagged design, Space. Bookmark the permalink. 19 Comments. Great article. Montessori schools killed their desks in 1907. No RIP from me. One of my former students from Middle School now in high school says it is interestingly strange to be chained to a desk all day. My operative word is “chained”. Great point. I probably should have clearly stated the public school origins and support of the student desk. As some, although not all, private institutions eschewed them for more modernized approaches. However, secondary grades, even in private schools, continue to support this model. I’m thinking about Mr. Keating’s class in Dead Poet’s Society. While we haven’t changed our furniture, we have changed the placement in the room. Our Superintendent has given an edict that teachers are not allowed to put student desks in rows. They are to group students into collaborative work areas. It has changed instruction to be collaborative where adding the layer of technology on top is so much easier now. No cost collaboration. Two teachers at this elementary school were selected and the Booster Club made the purchase. Some of our other elementary campuses are doing similar things this year through parent donations. Can’t wait to see it implemented across the district! 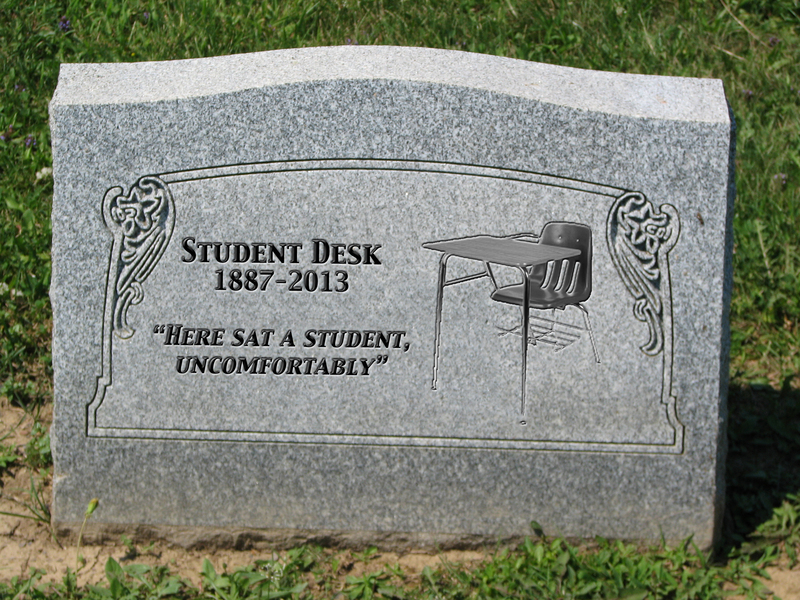 Pingback: The death of the desk? | Finding my bearings!